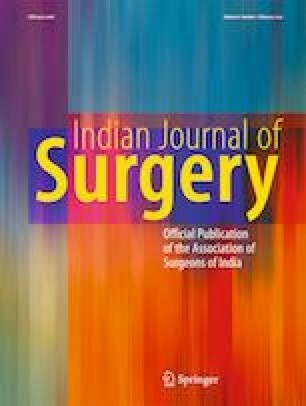 The purpose of this prospectively collected database is to evaluate the safety of placement of a feeding jejunostomy (FJ) in patients undergoing upper gastrointestinal surgery and evaluating the gastrointestinal (GI) and mechanical complications. A total of 46 consecutive patients who underwent upper gastrointestinal surgery for various benign and malignant diseases were included. All of these patients underwent Witzel feeding jejunostomy at the time of laparotomy. The patients were followed postoperatively to record the gastrointestinal and/or mechanical complications that occurred during the hospital stay of the patients. Feeding jejunostomy could be performed in 100% of the patients and postoperatively, jejunostomy feeds could be started in 97.8% of the patients. 34.8% of the patients underwent an emergency laparotomy; 81.25% of the patients in the emergency group developed a significant postoperative FJ related complications with significant mechanical complications in the emergency group. GI complications were 82.14%; diarrhea was the most frequently encountered (69.5%). GI complications were more frequent and significant in patients with a low preoperative serum albumin (< 3.5 g/dl). No mortalities were recorded as a direct consequence of a FJ. Jejunostomy feeding is an excellent method of providing enteral nutritional support in patients undergoing major abdominal surgery and in patients with upper aero digestive tract pathologies who cannot be fed by mouth. Tube feeding is associated with complications which are minor and self-limiting or can be managed by simple bedside maneuvers. Feeding jejunostomy should be considered in all patients who may require short- or long-term enteral nutrition. This was an independent study as part of a 3-year residency program and did not receive any funding from any organization nor did it have any bias. According to guidelines setup by ICMR (1994) and Helsinki declaration (modified 1989), the following will be adhered to all patients and volunteers involved in the study. All the possible treatment options will be given, and none will be withheld. Patients will be enrolled in the study with their knowledge, and study will be done by utilizing known investigation modalities, regarding which proper information will be provided to the patients. Patient will be given the option of quitting from the study during the protocol if he or she desires; no element of compulsion will be extorted. Confidentiality of data due to contribution source or individual will be given. Written informed consent will be obtained from all the patients included in the study. In the cases where the patients are not eligible for giving consent due to poor neurological status, consent of the close relative available will be taken. There will be no difference in the management of the patients, and all the patients will be treated by standard protocol of the department of General Surgery, Fortis Hospital, Mohali, in the best interest of the patient.